Ip Man: The Final Fight is the latest iteration of legendary Wing Chun martial artist Ip Man, after three different films recalling his exploits in China and Hong Kong. Helmed by Herman Yau, the director of Ip Man: The Legend is Born (2010), Ip Man: The Final Fight revisits the kung fu master’s arrival in Hong Kong in the 1950s (a period of Ip Man’s life already portrayed in Ip Man 2 in 2010) and the destinies of a few of his first Wing Chun students. The point of view departures of this new version are interesting: in Ip Man 2, the narrative was centred around the movie’s star, Donnie Yen, and most of the peripheral characters were stock characters helping to move the plot forward, by setting the stage for Ip Man to fight 20 guys, for example; in Ip Man: The Final Fight, the story is centred around an ensemble cast of characters including Ip Man’s first students, so we get to see the evolution of Hong Kong in this period through their eyes. It also feels more like a real biopic; where Ip Man 2 was structured as a Hong Kong blockbuster film, with the fight scenes set-ups feeling very contrived, the fights in Ip Man: The Final Fight, although scarcer, feel more organic. The choice of the villain also contrasts with all three previous films: in Ip Man, the menace is Japanese and the filmmakers don’t hesitate to showcase their cruelty during the occupation of China; in Ip Man 2, the white Anglo-Saxons and their Occidental boxing with their foreign manners, imperial dominance and innately corrupt nature are a threat to Chinese pride; Donnie Yen’s self-assured, more dynamic acting style in previous movies (as well as Yu-Hang To’s acting in Ip Man: The Legend is Born) flagrantly contrasts with Anthony Wong’s subdued, more seasoned acting in Ip Man: The Final Fight; in Ip Man: The Legend is Born, the enemies are once again Japanese but they have now infiltrated China from within, corrupting its youth, the innocent, a most heinous transgression; Ip Man: The Final Fight is the only one of the Ip Man films that creates Chinese villains, the evil Triad gangsters, and set up the eponymous final fight as a clash of values, pitting Ip Man’s righteousness against the Triad boss’s corruptible influence. Since the corruption doesn’t come from an other (foreigners, for example), it feels like a battle within Chinese society to adhere to “positive” values like honour, duty and family, and abandon “negative” ones like deceitfulness, greed and individuality. But what’s most interesting about Ip Man: The Final Fight is that it doesn’t shy away from ambiguous morals. In the movie, for example, Ip Man becomes addicted to opium, although he’s introduced to the drug by a somewhat shady love interest which could arguably mitigate the personal responsibility of his addiction. In real life, Ip Man was said to be a long-time opium fiend who opened a Wing Chun school in Hong Kong to afford his habit. Ip Man’s love interest makes her appearance while he’s still married, although there are no adulterous acts while his wife is alive. 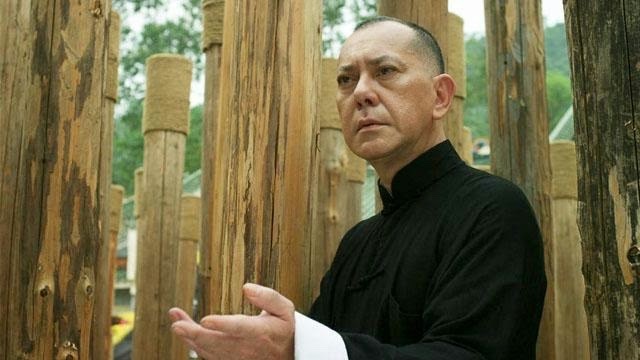 As another example, an old student of Ip Man, now a part of the Hong Kong police force, slowly drifts into the corrupt world of the Triad, initially accepting bribes but soon instigating full-blown criminal acts. His scene of contrition with Ip Man show his remorse but he never stops, having sunk too deep in his crimes. Other students of Ip Man embody different facets of this fight for morality, from revolutionaries seeking change in their society to one student accepting to participate in underground fights to feed his family. With its layered morality, debatably more nuanced than previous incarnations, and its use of an ensemble cast of characters around Ip Man, Ip Man: The Final Fight is a great continuation of the franchise and may be one of the best of its films.